StyleBlueprint brings you fashion tips as well as ideas to make your home seasonal and always feel updated. We scout out boutiques around the South to discover beautiful and useful items as we all know Southern fashion is so much more than monograms! You are busy and we strive to make sure you always feel in the know! Dreading the necessary bathing suit update for spring and summer? Don’t sweat it! We’ve found 12 bathing suits that flatter all body types. It’s all in the lightweight layers! Style Coach Megan LaRussa shares her tips for looking chic during the fluctuating temperatures of transition weather. We’ve rounded up some of this spring’s hottest trends, from florals to plaid to animal prints, styled by some of our favorite fashion bloggers. Take a peek and then shop the looks. We’ve recently tried out a slew of Burt’s Bees beauty products — both new and beloved. Here are 12 products we love and three we wouldn’t buy again. Whether it’s for Valentine’s Day or not, we could all use an easy guide to dressing stylishly for date night. Here’s your lazy girl’s guide for wherever your date takes you! In need of some online retail therapy? We’ve rounded up what’s new and noteworthy at three of our favorite online shopping destinations — Nordstrom, J.Crew and Madewell. From sweets and jewelry to home finds and more, here are some of our favorite FINDS from around the South. We took home seven beauty gadgets, from massagers to microderm devices to LED light masks, and gave them a whirl. Read on to learn what we thought about each! Need to spruce up your shoe collection a bit? From flats and mules to heels and boots, here are 16 under-$200 styles to get you through the rest of winter. 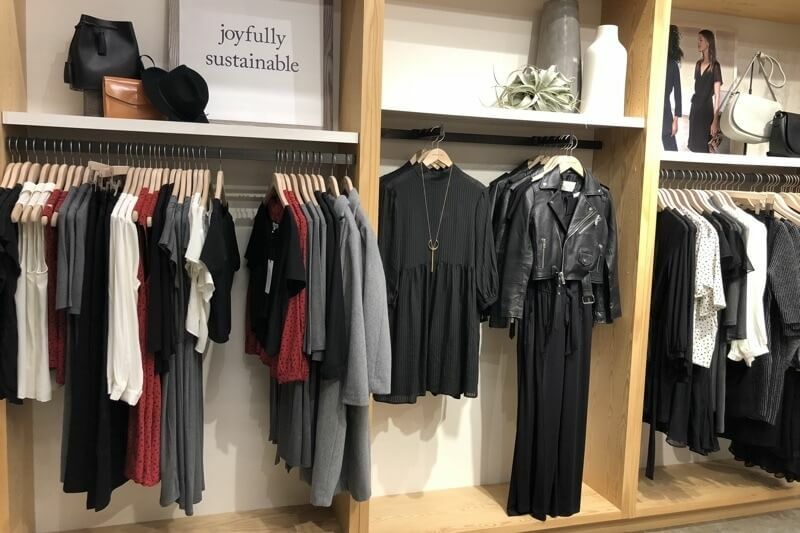 For flattering looks that are sustainably made, head to Ponce City Market and shop the styles at Amour Vert.